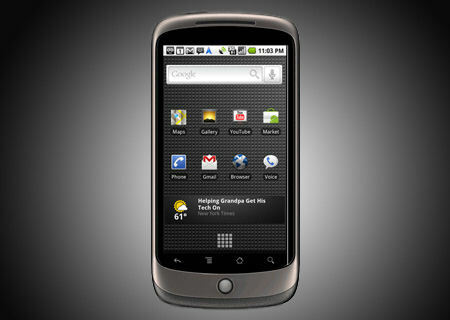 HTC’s Google Nexus One is the latest smart phone introduced by the HTC Company in 2010. It uses the Android Open Source mobile operating system. As soon as it was introduced in the market it received an over whelming response from the users as well as the critics, the reason being the latest and awesome features introduced in the smart phone, including transcribe voice to text, an additional microphone for dynamic noise suppression, voice guided turn-by-turn navigation to drivers, and the best feature of this smart phone is the ability to connect a VPN connection. Yes Google Nexus One has been equipped with the latest feature of VPN. With this phone you can connect to your company’s private VPN or your home’s private VPN. Having problem connecting to a VPN connection? Below are the steps which you should follow in order to connect to a VPN connection. Under the Wireless Controls open the VPN Settings. Select the Add VPN option and add the desired type of VPN connection. Next fill up the details as provided to you by your service providers. Next press Menu and then press Save. This is it; you are done with the setting up phase of your VPN connection. Now to connect follow he steps mentioned below. In Wireless Controls go to VPN settings. You will be seeing the connection you just configured. Select this connection. Enter the Username and Password if required. And there it is you are now connected to a VPN connection. Below are the top 5 Best VPN service providers for a VPN connection on your Google Nexus One smart phone. All of them provide the best and quality services along with securest protection possible. Just go for one of them and you’ll feel the difference.